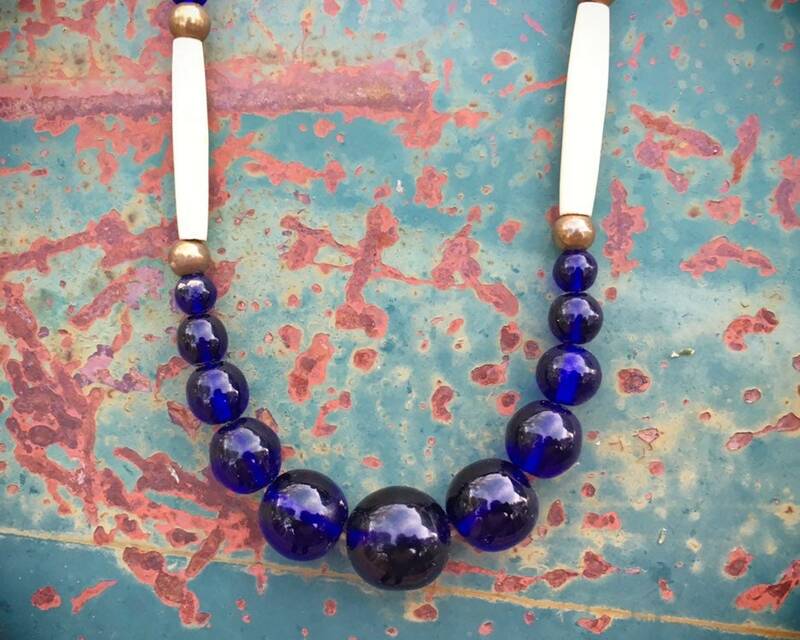 This 1970s necklace is made with heavy and gorgeous cobalt blue glass beads--likely Venetian--along with long bone hair pipe beads. The blue of the glass is stunning when light shines through. 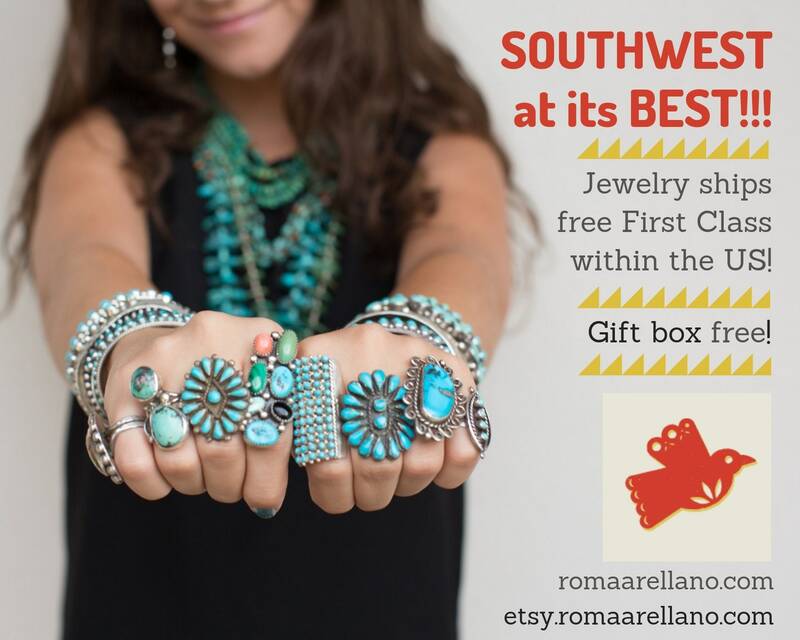 Has no clasp but rather fits over the head, and would have been worn in the day with a tunic or mumu style top. 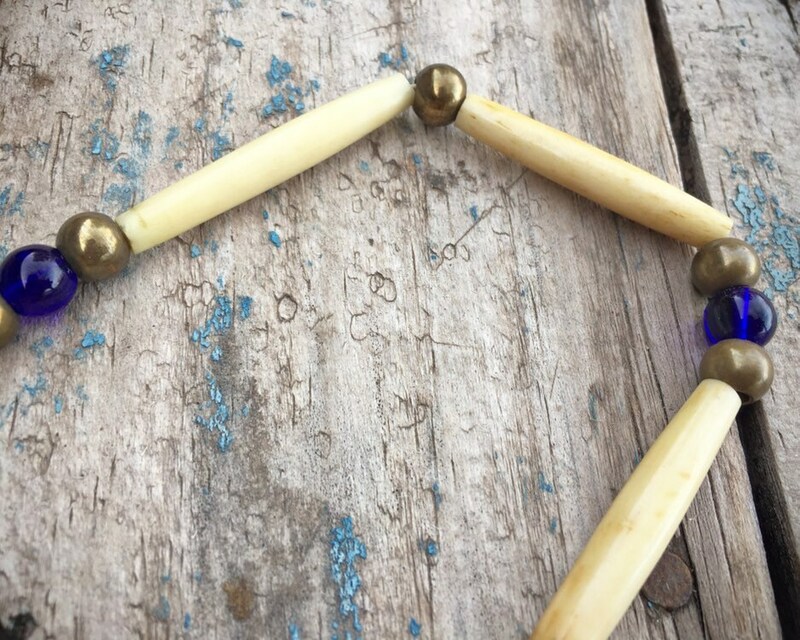 Bone hair pipe have been traded in North America for thousands of years and were used as decorative beads. 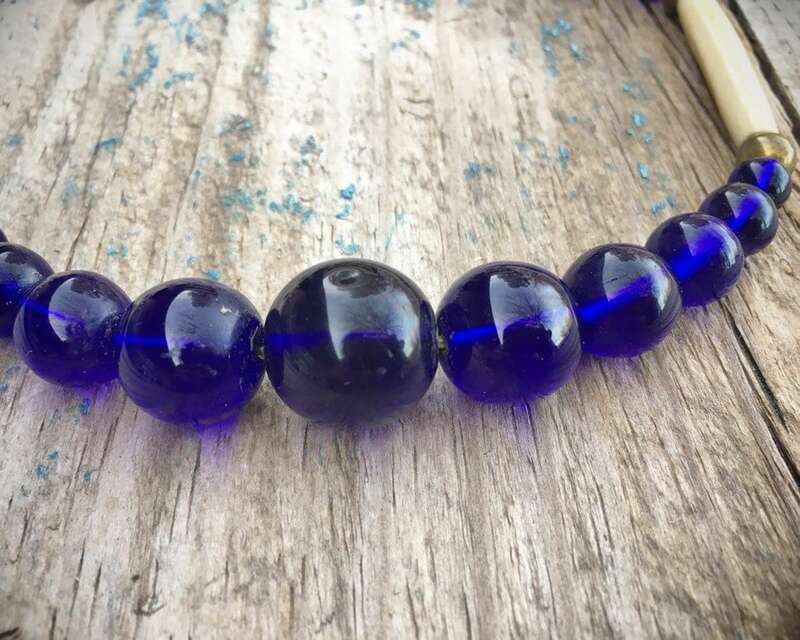 The blue beads were also most likely trade beads, heavy and desireable. 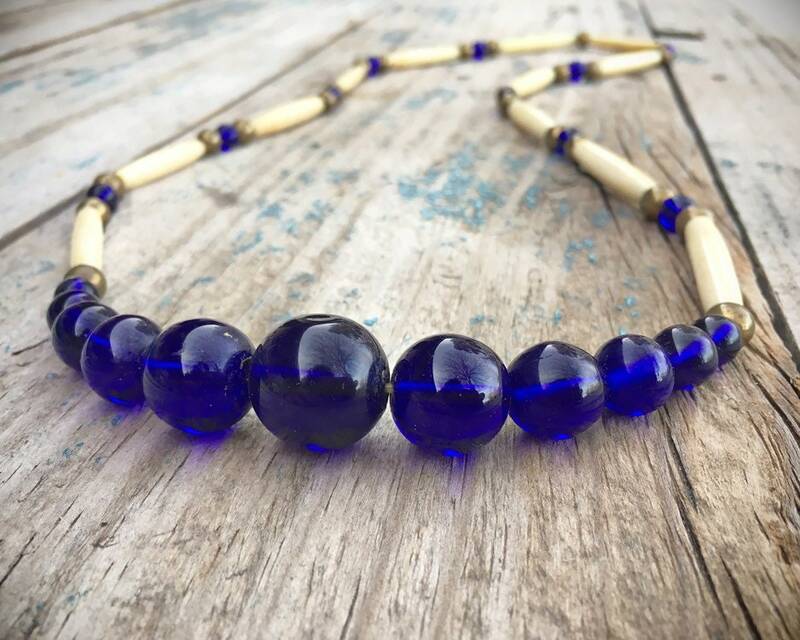 Also mixed into the necklace are heavy brass beads. 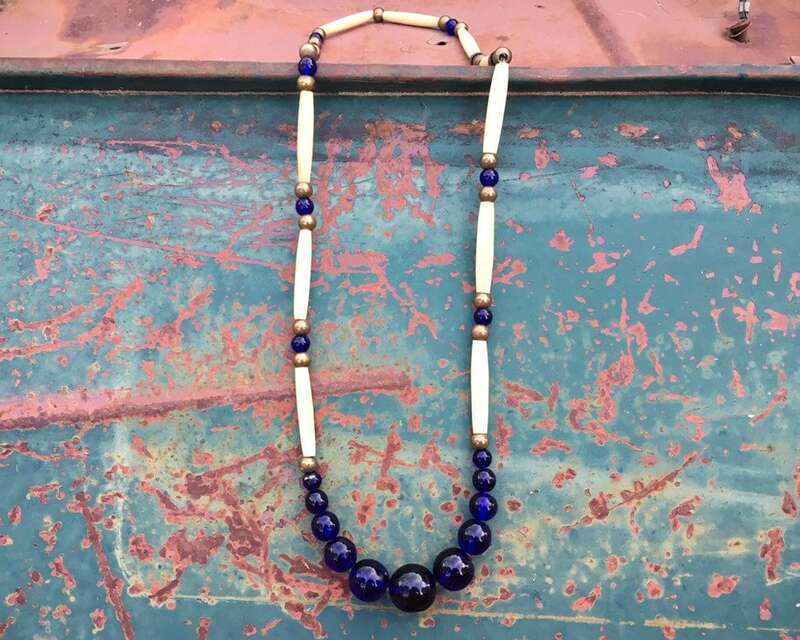 A wonderful necklace with great presence, tribal and possibly Native American or Native inspired with the pipe beads. 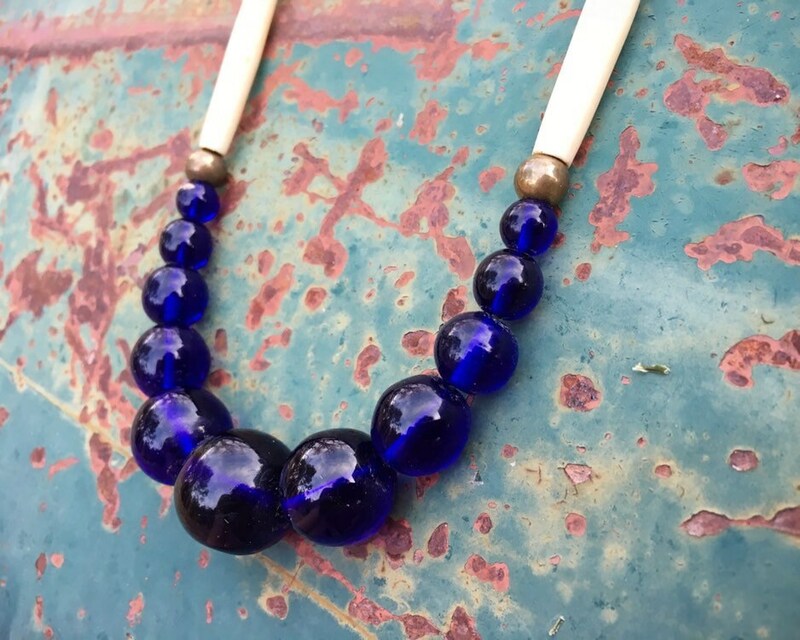 The necklace measures 31-1/2" long and again is made to slip on and off over the head. In good vintage condition. For the person who loves the blues.